Happy Chick emulator will take care of your craving for vintage games. This app will enable you to play games from other platforms on your android. In short Happy Chick is a collection of video games from cross platforms and generations. You can play games that were only available on certain consoles, handsets, and arcade devices. 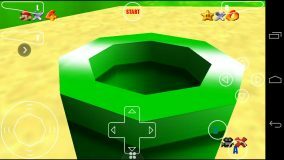 This app is able to emulate games for PlayStation 1, 2 or 3, Nintendo 64, MAME, Nintendo DS, PSP, Gameboy, and practically any other console on the market. In fact, the best thing about Happy Chick is that you can download the games directly from its catalog. You don’t have to use a separate tool to end up downloading files that may not even work. When you complete a search, you get a long list of options, depending on the game. Before starting the download, you can see what platforms it’s available for, so you always know for sure that you’re downloading the right game. Games includes like Pro Evolution Soccer series, Super Mario, Need for Speed and many more. The list of available games is huge. Happy Chick works on latest devices as well as on old devices. Standard memory will give you a smooth run across all the games. Just download the latest APK file to get started!